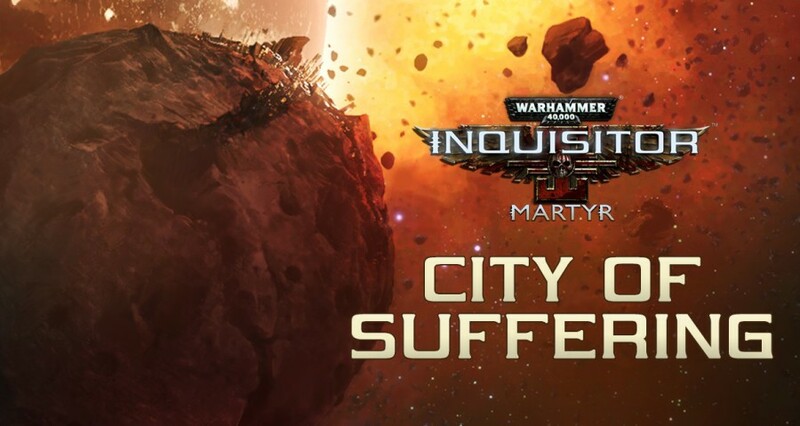 A new DLC is available on the PC version of Warhammer 40,000: Inquisitor - Martyr, titled City of Suffering. Enter the City of Suffering where the Drukhari hunt their human prey on a larger scale. Hinder the Xenos plans, take down as many Pain Catalysts as you can and make them pay for every Imperial citizen they steal. The DLC is $2.99 on Steam and on the Neocore Store, but you can also purchase it from the in-game store for 1200 Fate. The DLC has been made available just yesterday on Xbox! Please check on the store! When will u be able to do this on Xbox ? as we checked all your characters (including your Psyker) are in another sector. Please get back to us in case you still experience this issue! What a bugfest Neocore. My lvl 70 pysker is trapped in the new "sector". Everytime I try to leave, it crashes the game. I tried my lvl 70 assassin, but now there is no new "sector" on the star map to travel to. This is a disgrace. You should all be ashamed of this crapfest.